The falx cerebri and the tentorium cerebelli are two large folds of dura mater that extend into the cranial cavity. The first separates the two brain hemispheres and the second separates the cerebellum from the occipital lobes. These structures do not exist in all animals. In a comparative anatomy study of the tentorium cerebelli, Klintworth observed this structure in birds and mammals but it was absent in fishes, amphibians and reptiles. He distinguished two morphologies in mammals. In smaller species (e.g. rodents and bats) the tentorium was bilateral, separating only the lateral portions of the brain and cerebellum. In other mammals (e.g. cats, dolphins, monkeys) the tentorium cerebelli was a complete fold. Klintworth concluded that this membrane evolved from a bilateral structure that later became connected and even continuous with the falx cerebri. Some mammals (e.g. cats and dolphins) developed an ossified tentorium cerebelli, maybe due to retention of osteogenic capacity. 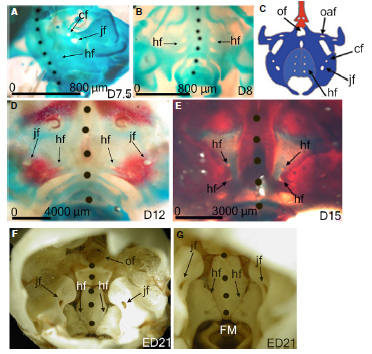 Analyzing the tentorium cerebelli and the falx cerebri in dolphins and comparing their anatomy with other mammals, Nojima distinguished two types of ossification of these membranes. In dolphins, these membranes ossify as the individual grows older. In other mammals (e.g. whales, cats, horses, kangaroos) the ossification develops as part of the skull bones during ontogeny and may be already present in newborns. The ossification of these membranes in dolphins is well documented, but the function is still unknown. It was hypothesized it can be an adaptation to deep dive. In humans the ossification of the falx cerebri and tentorium cerebelli are rare, and information comes essentially from case reports. Ossification of the falx seems to be idiopathic and might be associated with ageing. Ossification of the tentorium can also be idiopathic but it might also be related to metabolic or congenital conditions, such as renal failure and spina bifida. Either way, the ossification is restricted to some parts, and not complete as in the dolphins. 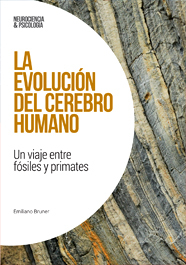 There are plenty of reports about anatomical and morphological variation of cranial foramina; however, their developmental mechanisms fundamental for interpretation of such a variation and understanding of vital medical conditions related to their aberrant formation are poorly known. Cranial foramina transmitting the vessels and nerves emerge within the cranial bones which themselves show complex origin and development. Recent embryological study in chicks by Akbareian et al. (2015) presents development of cranial foramina in mesoderm derived occipital bone arising through endochondral ossification. Unexpectedly, the formation mechanism did not show any extensive apoptotic cell activity and target proliferation. Instead as a “clearing” mechanism forming the cavity of foramina was proposed localized restriction of ossification caused by the presence of vessel and nerve elements with minimal mesenchymal cell death. Further importance for morphological studies of foramina can bear a discovery that the shape of vessel dictates the overall shape of the foramen.